Announcing four new programs. 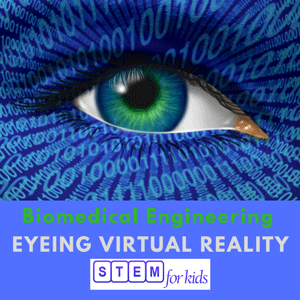 Children can now design their virtual reality headsets and jump into their very own virtual reality games! We are pleased to announce the release of four new curricula into our comprehensive line-up of STEM / STEAM enrichment programs for children in grades K to 8. 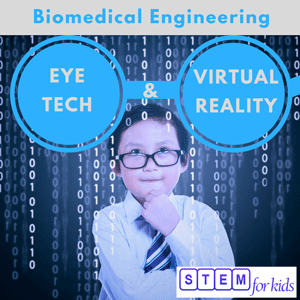 Utilizing the innovative STEM For Kids WayTM of taking complex real life applications and making them a child’s play, the STEM For Kids team has devised a series of programs that delves into the human eye and virtual reality bridging three industries: health, engineering and computer programming. Virtual Reality (VR), a promising technology, with application in training, treatment and communication is pushing our frontier beyond the realms of what we can actually see. The new programs open the doors for children to design a VR headset and jump into their very own VR game! With these releases, our biomedical engineering programs have doubled. 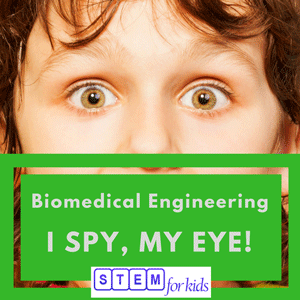 For more details on the biomedical programs, see https://stemforkids.net/programs/biomedicalengineering/. In this new program, participants will learn how to create a basic website using WordPress. WordPress started out as a personal publishing system built on PHP and MySQL in 2003. Today, it is the most popular Content Management System boasting about 16 million websites around the globe. I WANT TO BRING THESE PROGRAMS TO MY SCHOOL / SITE. TELL ME HOW. Children are welcome to make a digital front for their dream ventures or create a digital presence for a family member’s or friend’s venture. See the complete line-up of our computer programs at https://stemforkids.net/programs/computerprogramming/. STEM For Kids® provides the broadest array of engineering, computer programming and advanced manufacturing programs for children in grades preK-8 through summer camps, afterschool programs and workshops in and outside schools. Founded by a recognized business leader in STEM, Moni Singh, the Raleigh North Carolina based company has now expanded from its roots in the Triangle to multiple territories across the USA and outside. The global expansion is continuing at a healthy pace through franchising of the renowned STEM For Kids business system and innovative curricula. The STEM For Kids brand is generating significant national and international interest and has made into various “Best of ” lists including Entrepreneur Magazine’s Top New Franchises, Best Trends, Franchise 500, The Vangaurd List, Startup Magazine’s Companies Ready to Make you the Boss and Franchise Gator’s Franchise 100 lists. National and international franchise opportunities are available.Business owners can start with as low as $20,000. Entrepreneurs with a passion to impact their community through education can learn more and apply at the STEM For Kids website, https://www.stemforkids.net/franchise or call +1 866 991 7053. STEM For Kids corporate office at franchisor@stemforkids.net.